First full day of fall! Hooray! I'm endlessly ready for cooler weather, apple or pumpkin EVERYTHING, and everything else that fall brings. OPI's new(-ish) Venice collection isn't the most traditional assortment of colors ever, but there are two completely perfect autumnal shades and I had to have them! It's A Piazza Cake is a rich pumpkin orange cream. Aaaah! Can you guess how much I love this? It's a lot. 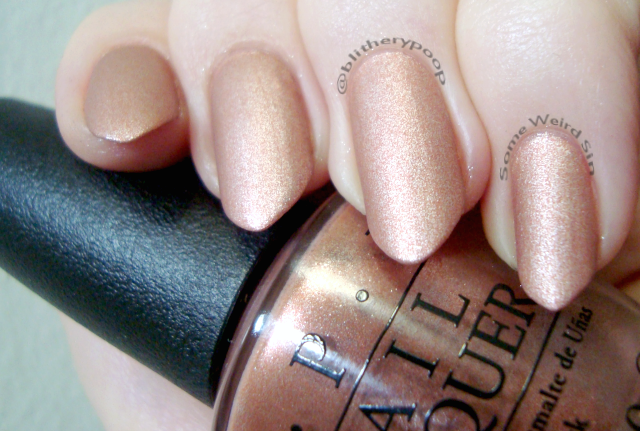 The color is outstanding and it's a perfect OPI two-coat cream. Worth A Pretty Penne is a copper foil mixed with silver. Another I instantly loved! I wore Penne for almost two weeks before swatching it fresh for this post...and I was really tempted to put it back on. I love it that much! 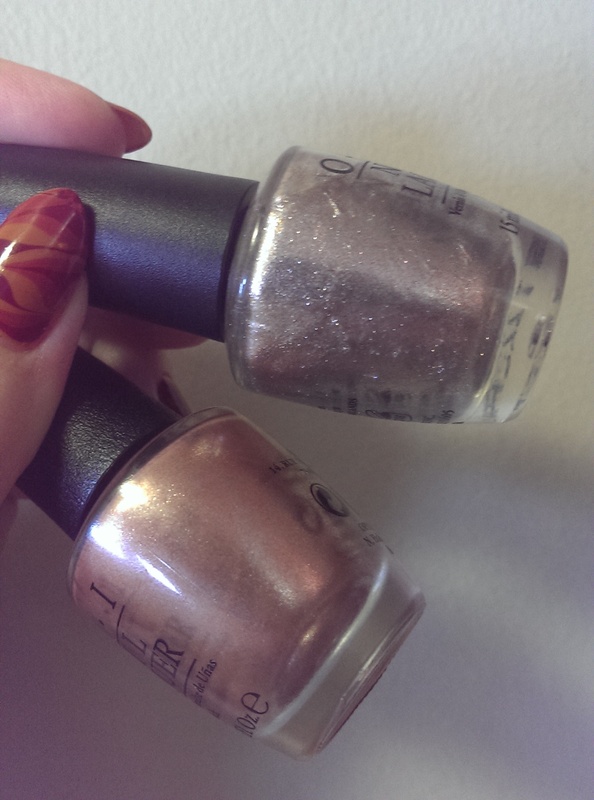 Because a few people on the Nail Board wondered if it was similar to Designer...De Better, I did a quick bottle comparison. They're sorta opposites. They'd probably look great together in a mani. This is two coats and the application is super easy. 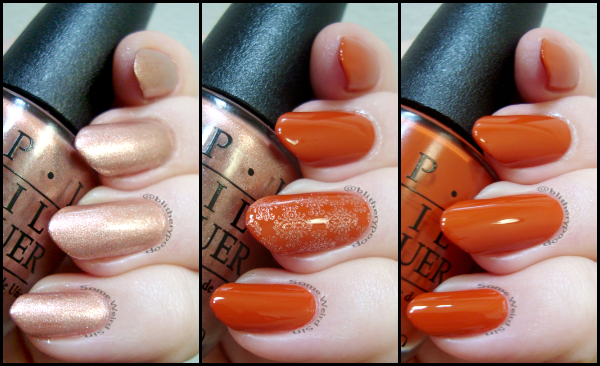 With matte top coat, it would fit right in with OPI's Suedes. Makes a great thing even better! ...and it stamps! I used UC-302 from UberChic Beauty. Bottom line: These are my only two Venice picks, but daaaaaamn....they're both perfection! Did you get anything from this collection? Are there any you think I should pick up?